Car fanatics and lovers of the Rolls-Royce Silver Ghost are going to love the Mamod SA1L live steam limousine. The SA1L takes its inspiration from the widely loved Rolls-Royce car. The Rolls-Royce name and many car models in their series have managed to acquire titles for themselves that are certain to make them blush. From the, ‘best car in the world’ to the ‘Silver Ghost’ name, reputation and more, the cars manufactured by Rolls-Royce are undoubtedly some of the greatest in history. Mamod know a good thing when they see one and have outshone themselves with a model car that, dare it be said, is on par with the Silver Ghost it mimics. 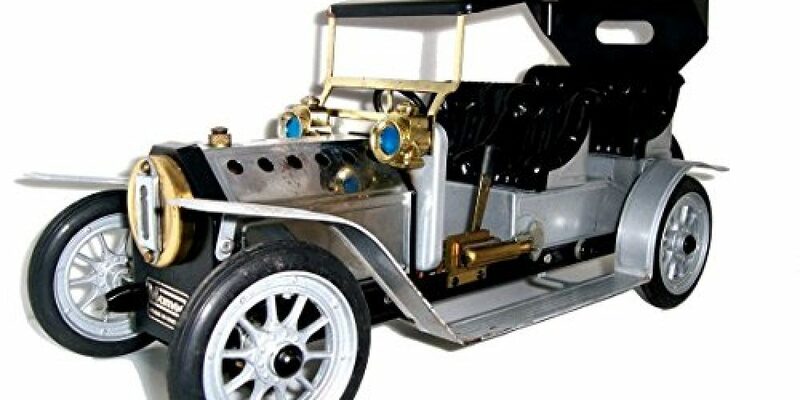 Just like the Silver Ghost, this model car is appealing to the eye, sturdy, reliable and fun. The SA1L is perfect for those who people missed out on the chance to drive their own luxurious car from times gone by. If you’ve got a teenage son who loves cars (as most teenage boys do) and you’re not ready for him to hit the road just yet, this car is the perfect gift. Whilst younger children usually have a fascination with cars, this model is not like a generic toy and needs supervision from an older teenager (14 years old +) or adult. For these reasons, the model is great for families who would benefit from some good old fashioned quality time together. What better way to spend a Sunday afternoon than by turning the television off and throwing yourselves back into yesteryear with a swanky car good enough to make modern day cars jealous of? 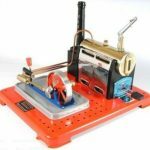 When the model is constructed (and the SA1L has already been built for you, so you don’t even need to worry about that), it weighs 3.8kg, is roughly 16 inches (41 cm) in length and its dimensions are 410 x 198 x 160. Mamod has a keen eye for detail and even the interior of the car is well upholstered. A Lilliputian would be happy perching in one of these seats; it really is as if someone has take a real life Silver Ghost and minimized it! 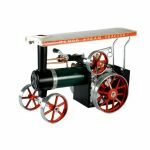 This model is simply stunning and will benefit from a home or person that is dedicated to taking pride and care in their selection of live steam vehicles and models. If this is something you are interested in, then the SA1L is definitely worth you sparing a minute to look at and consider adding to your set. 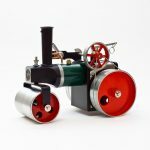 If you do decide to invest in this fine piece, you’ll probably end up being the envy of all your model collecting family and friends!